Barley, brown rice and beef liver recipe. 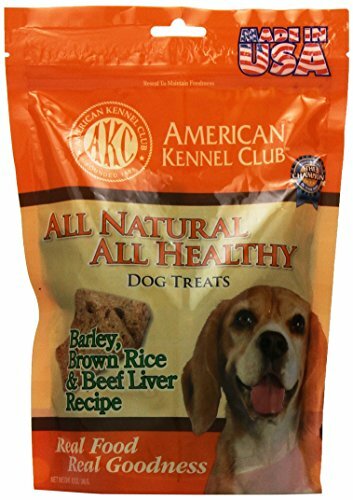 All natural, all healthy dog treats proudly made in the USA. Real food, real goodness. 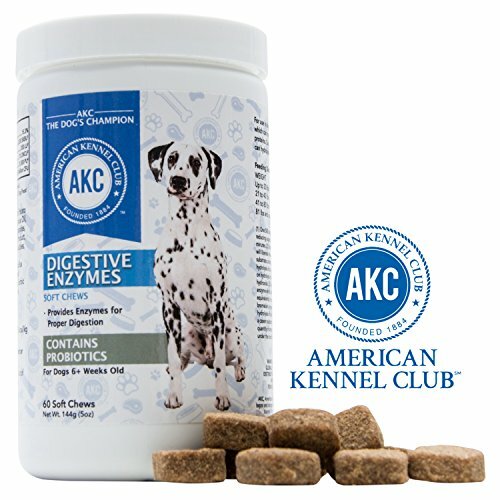 Dogs will love the AKC treat!. All natural, all healthy, barley, brown rice and duck recipe. Proudly made in the USA. Real food, real goodness. 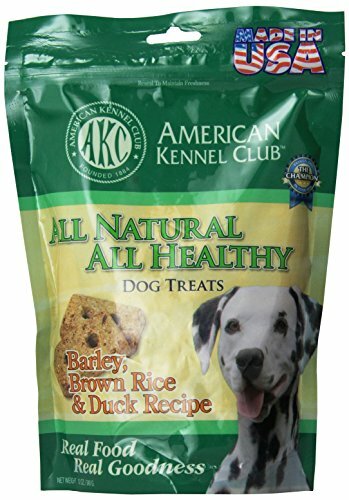 Dogs will love the AKC treat!. Real food, real goodness. All natural, all healthy dog treats proudly made in the USA. With apples, cranberries, cinnamon and blueberries. 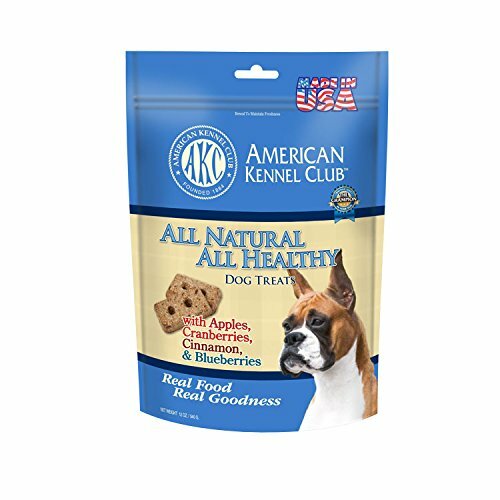 Dogs will love the AKC treat!. THE ULTIMATE SALMON CHEWS FOR YOUR LOVELY DOG Do you want to brighten & improve the overall shine of your dog's coat? Looking for the perfect food supplement to add to your dog's diet? 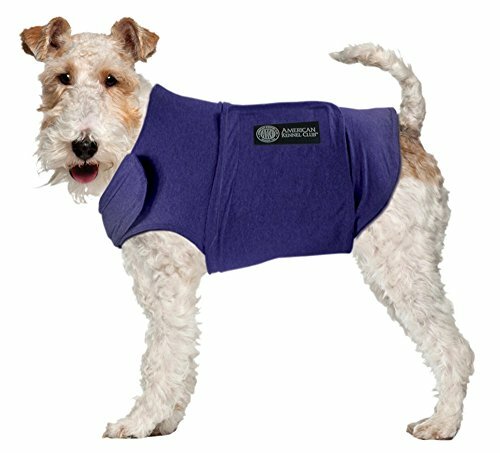 Give your dog that awesome, Lovely coat- He/she deserves to look great! 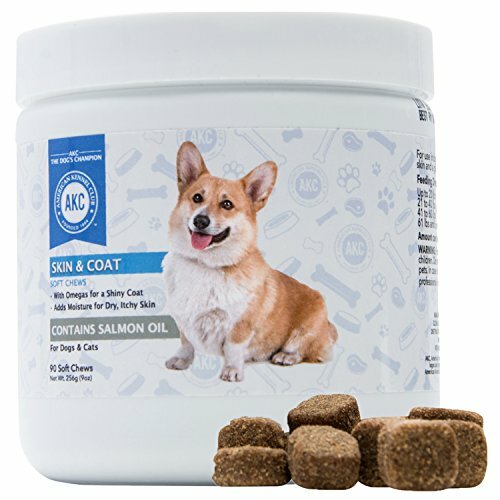 Use these Salmon Oil Supplements to give your dog that amazing shiny coat that will stand out & look great. What's more, regular administration superbly boosts skin health & helps deal with dry & itchy skin. You will also notice a tremendous improvement in his/her overall health due to enhanced immune system, metabolism & brain functions. Super-multi ingredients- just what your dog's needs Packed with safe all-natural nutrients, each chew mainly contains: « Omega 3 « Omega 6 « Fatty acids « Salmon oil Other powerhouse ingredients include: Dried potato product, flaxseed, glycerin, brewer's dried yeast, lecithin, salmon oil, maltodextrin, natural flavoring, water, tapioca starch, ascorbic acid (a preservative), mixed tocopherols (a preservative), rosemary extract and vegetable oil. 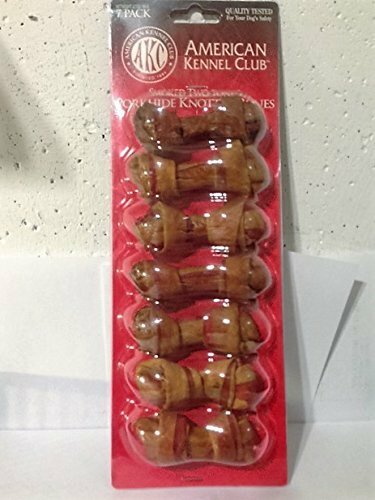 Click 'Add to Cart' now & Get Your Dog This Amazing Salmon Dog Chews & Start Experiencing Results! Infuse a pop of color into your room by storing your dog's treats in the American Kennel Club Fire Hydrant Treat Jar. 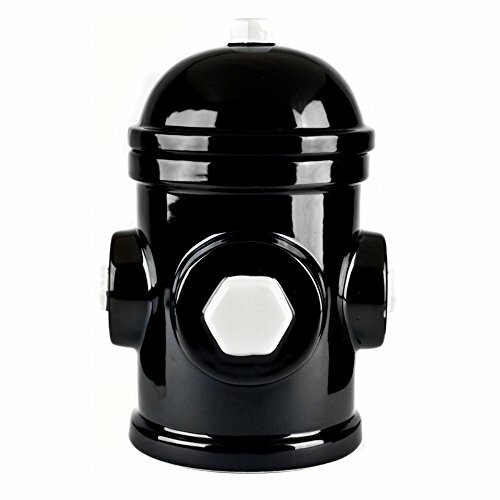 Choose from the available options when ordering this fire hydrant canister. Dimensions: 7.5 diam. x 10.50H in.. Ceramic construction. Your choice of available colors. Fire hydrant shape treat jar. Stores all of your dog's favorite snacks. 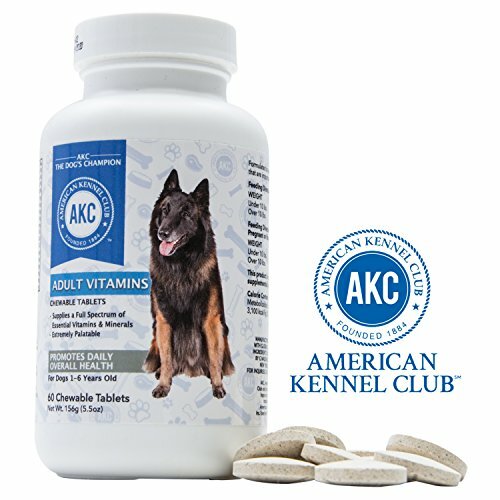 THE PERFECT VITAMIN SUPPLEMENT FOR YOUR DOG- Both tasty & nutritious Looking for a wholly nutritious food supplement to add to your dog's diet? Do you want to improve & maintain your dog's overall health? Well, if you are the type of person who does not compromise on your dog's health, loves boosting meal's nutrient value & loves natural pure health supplements, you have got to get yourself this superb Chewable Dog Vitamins & experience the magic. Offers the Perfect Nutrient Content for Your Lovely Dog- An All in One Formulation Each tablet of our supreme Chewable Nutritional supplements contains Vitamin A, Vitamin B12, Vitamin C, Vitamin D & Vitamin E, Calcium, brewer's yeast & biotin. We ensure that we provide a supreme dosage that will add the best health & nutritional value to your dog's diet. Here Are Some of The Health Benefits Your Furry Friend Will Get from Our Dog Vitamins Supplements - Give your adult dog the support they need for flexible joints & perfect cartilage health. - Maintains high energy levels - Great for bright eyes & healthy coat - Helps in removing tartar buildup in your dog's teeth. Show off your love for grammar by treating your dog to the American Kennel Club Woof Definition Pet Bowl. The bold black and white finish adds high-contrast to this piece. Dimensions: 6 diam. x 3H in.. Made of durable ceramic. Choose from available color options. Features "woof" quote. 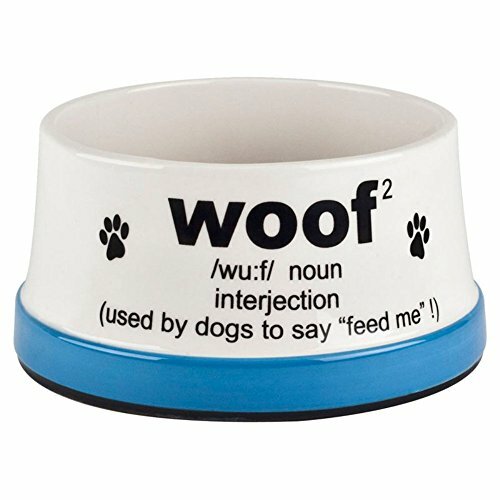 Food or water bowl for your dog. Copyright © Wholesalion.com 2019 - The Best Prices On American Kennel Club Dog Food Online.